Sautéed in our Fresh Garlic White Wine Butter Sauce with garlic bread. These are the Best!!! Fresh Golf Shrimp steamed with old bay served with cocktail sauce. Local Fresh Clams Steamed to order and served with drawn butter. Fries Smothered in a blend of Crab Meat, Cheeses, and Spices. Slow Smoked Chicken, Beef and Pork simmered with Tomatoes, Onions, Red/ Green Peppers and Fire Roasted Corn with an amazing blend of spices. (4) 4-5 oz Lobster Tails, Jumbo Snow Crab Legs, Spiced Shrimp, Clams, Mussels, Corn on the cob, served with two salads. Two of Our Famous Char-Grilled Veggie Skewers. Fresh Boneless Chicken Breast Char-Grilled. Sweet Shrimp Grilled with Our Special Spices. Seasoned Steak Char-Grilled then sliced. OC’S Only Real Hardwood Smoked BBQ. Served with choice of two sides and Corn Bread. “Like A lot of Cheese”. Mac & Cheese Meals Served with Corn Bread. 100% Real Cheese Baked to Order OOH So Good!!! Topped with a Grilled Boneless Chicken Breast. Served with Our Kettle Chips. Additional Charges for toppings and sauces. One Pound Beef Char-Broiled served Double Stacked with Crisp Hickory Smoked Bacon, American Cheese, Lettuce, Tomato, Raw Onion, Pickles. Served with 1 lb Fries Free Ice Cream to (One Person Only), That can Eat it All Good Luck… Don’t Forget the Fries!!! Corned Beef Piled High on Grilled Rye with Thousand Island Dressing, Provolone and Swiss Cheese Then Topped with a Grilled Hot Dog and Creamy Coleslaw. Smoked Turkey Breast, Crisp Bacon, Swiss Cheese, L, T, M on Amoroso Roll. Served on Corn Dusted Kaiser with L&T. Served with Chips or add Fries, Onion Rings or Sweet Potato Wedges for an additional fee. 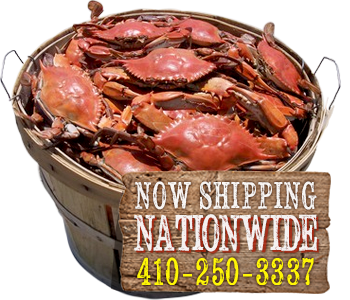 Hand Picked Crab Meat May Contain Some Shell. A Triple Decker…Double Meat....Turkey, Bacon, Muenster Cheese, L&T with our Secret Golden Sauce and Eastern Shore Shrimp Salad L&T on Triple Stacked Rye. Crab Imperial, Turkey Breast, Rare Roast Beef, Muenster Cheese on Grilled Rye. Fresh Po Boy Roll with L&T Served with Our Kettle Chips. Loaded with Seafood or Meat. You add the Hot Sauce!! !